St. Malachy’s principal, Stephen Janczewski, outside the school’s new location, whose mural was signed by Pope Francis. The grant from the Philadelphia School Partnership will allow improvements. St. Malachy, a heralded Catholic elementary school in North Philadelphia that was saved from closing five years ago, will receive a $1 million grant from the Philadelphia School Partnership to help it grow and improve its academics. The grant, which is scheduled to be announced Friday, is the largest the partnership has made to a Catholic school, the partnership said. "It's exciting, it's tremendous," principal Stephen Janczewski said Thursday. The grant will be used to help the pre-K-through-eighth-grade school add more prekindergarten through first-grade classes in September, when St. Malachy moves to its new building at the former Harrison Elementary School. Partnership money will also be used to train teachers to implement an academic program that incorporates individualized online instruction and has been used at the DePaul Catholic Elementary School in Germantown. St. Malachy and DePaul are among the 15 Catholic schools in impoverished urban neighborhoods that the nonprofit Independence Mission Schools network began operating for the Archdiocese of Philadelphia in 2013. "St. Malachy is one of the city's most historic schools," Mark Gleason, executive director of the partnership, said in a statement. He noted that Janczewski and assistant principal Betsy Rafferty had worked at DePaul and implemented the program, known as Seton Partners Blended Learning. He said they were "proven turnaround managers who have developed a bold plan to make Malachy a leader among schools again." Seventy-seven percent of the school's students come from low-income families, and 60 percent receive financial aid. The nonprofit partnership was founded in 2010 and is seeking to raise $100 million to help support and expand high-quality district, charter and Catholic schools. "St. Malachy has made significant progress, but there's more work to be done," said Janczewski, who became principal in May 2015. 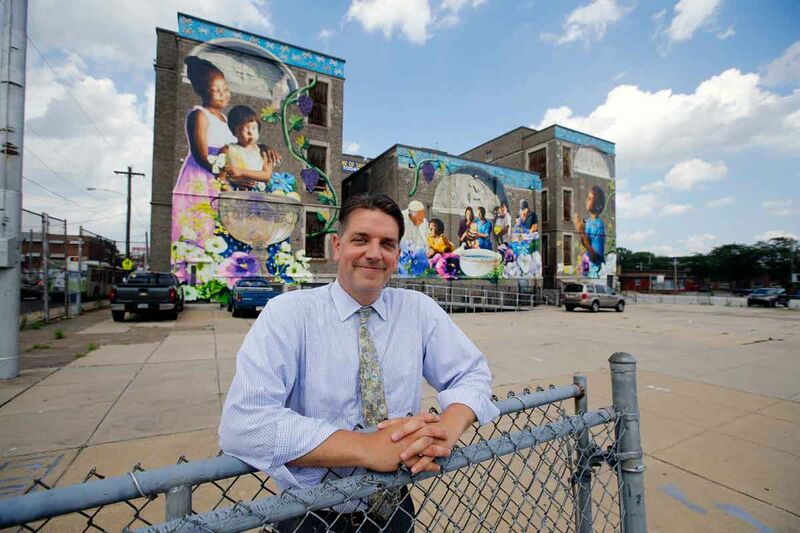 He said the school ended the academic year with 180 students and one class for each grade in its cramped, historic building at 1419 N. 11th St.
St. Malachy will have 265 students when it opens in September at its new home one block away, at 1012 W. Thompson St.
Janczewski said the school was adding four classes: a prekindergarten for 3-year-olds, another for 4-year-olds, and one section each for kindergarten and first grade. As students advance through the grades, additional sections will be added. Janczewski said he expects the school will have more than 500 students in five years. Independence Mission Schools bought the shuttered Harrison School from the Philadelphia School District in 2014 for $1.36 million and has been completing extensive renovations. Developed by a New York nonprofit organization, the Seton program combines small-group instruction with online lessons tailored to students' individual learning needs. Rafferty said teachers use the data from daily online lessons to shape classroom instruction and target areas where students need help. She said the program had led to large academic growth in both reading and math at DePaul.